Walsh, William Thomas. Our Lady of Fátima. 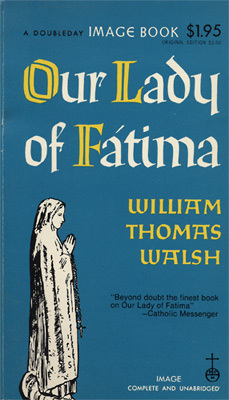 Introduction by William C. McGrath. Doubleday Image Book, D1. Garden City, NY: Image Books , . 223 p., 18 cm. Lettering for paperback cover.